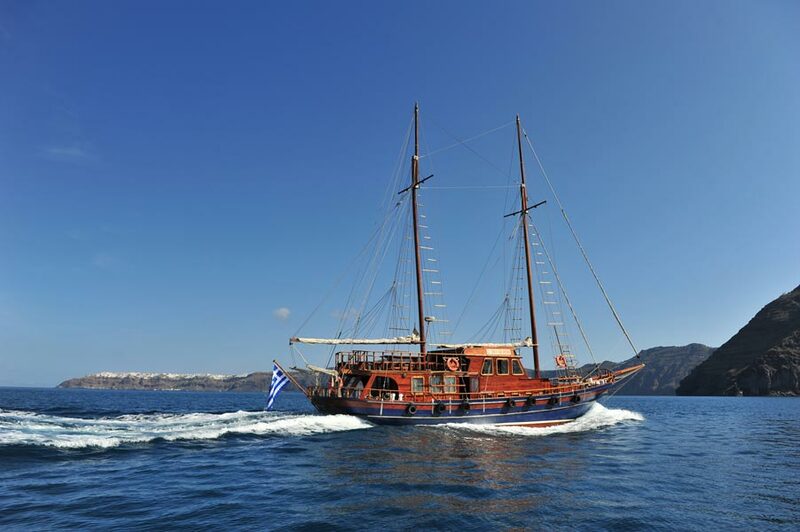 Set sail for the lava islet of Nea Kameni and walk an ascending path to approach the crater of the active Volcano. 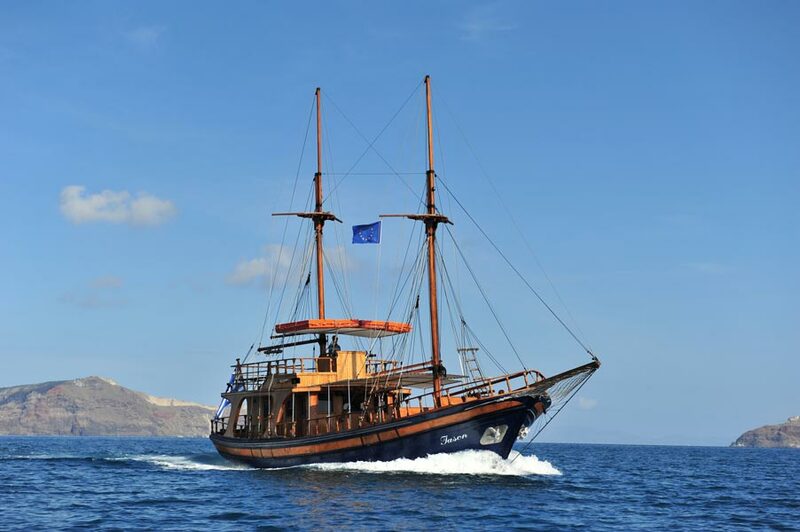 Then sail for the second lava islet of Palea Kameni and have a chance to swim in its Hot Springs. 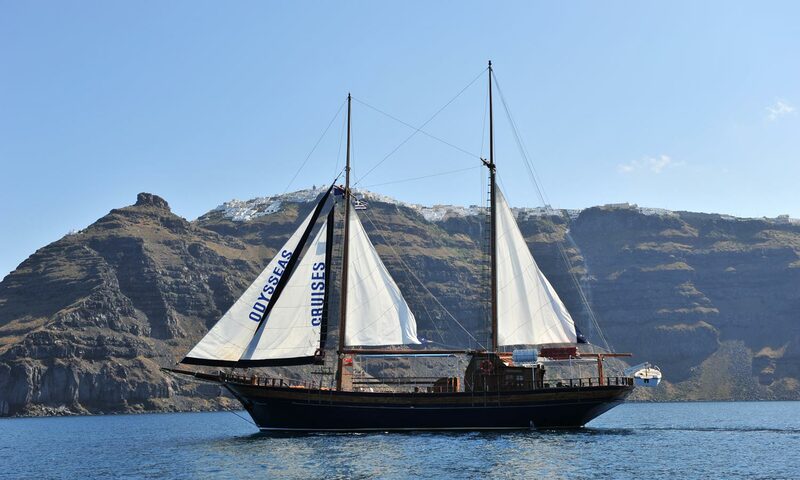 Sailing along the Caldera, sunset dinner on board under village of Oia. Buffet style dinner with rolled pork & chicken, rice & oven potatoes, Greek salad, various cheeses, tzatziki,bread,wine & fruits.